Each installation has its own requirements based on winds, micro climates, soil type and the particular crops chosen. 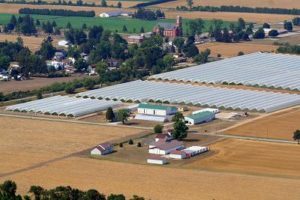 We customize each installation to meet the unique requirements of the location and will manage your High Tunnel project from inception to completion. While we provide a complete installation manual that covers each step of an installation, we can provide onsite installation management to ensure a worry free installation and complete training of your staff for ongoing tunnel management.